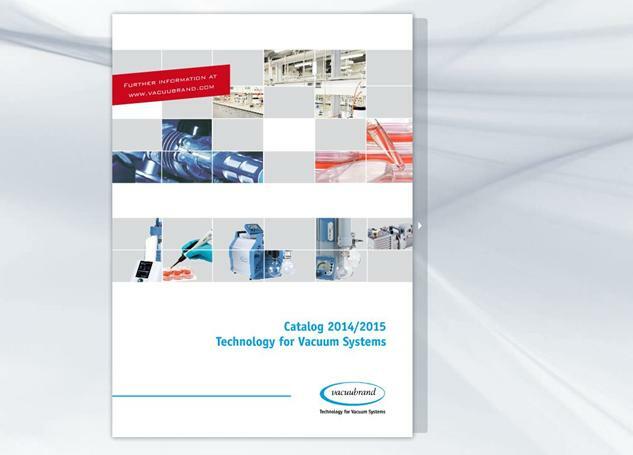 February 06, 2015 - "Company News"
Vacuum technology firm Vacuubrand has launched its extensive 2014/2015 product catalogue. The 191-page catalogue features everything from help choosing the right chemistry diaphragm pump, and associated accessories, to performance features for Vacuubrand’s extensive range of products. The catalogue also features product updates on the latest oil-free equipment for corrosive gases and vapours, vacuum gauges and controllers and vacuum valves and small flange components. Furthermore, the catalogue also has a global contacts list for anyone interested in finding out more about any of the company’s products.